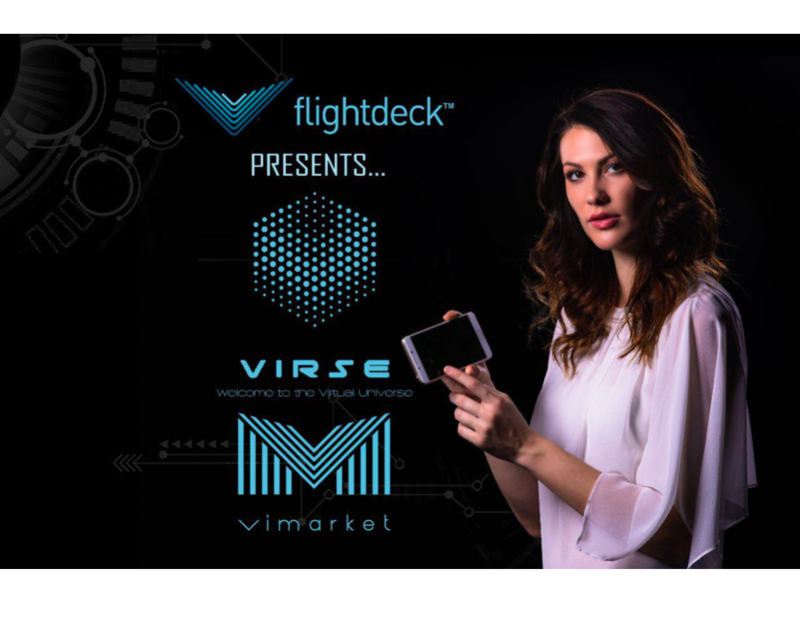 Bitcoin Press Release: VR marketplace ViMarket has announced its plans for its new “Virse”, upcoming token sale and Flight Deck VR Lounge Launch at this year’s CES. 11 Jan 2019, Las Vegas, Nevada – ViMarket Inc has announced its plans for “Virse” ™ and the upcoming token sale of its native cryptocurrency, the ViR (Pronounced Vee-R) or Virtual content Token. This cryptocurrency gives users of the new immersive social gaming and E-Commerce platform, access to experience and participate in a virtual universe of digital content. In addition to this news, ViMarket is featuring their new Flight Deck VR and the CES lounge launch today. The recent video-game phenomenon “Fortnite” exemplifies the consumer appetite for virtual goods, with players purchasing over $300M USD per month of various items for their characters including virtual clothes, weapons and even dance moves (called “emotes”). This represents just one of the successful MMO (massively multiplayer online) games out there and this sector represents a hundred billion dollar market alone. Virse allows its users, known as citizens to utilize ViWallet, it’s cryptocurrency wallet to purchase and store its digital currency ViR, which is used within the platform for the purchase of virtual items and assets. Unlike traditional in-game tokens, which cannot be transferred between users, or earned and redeemed for real-life (RL) wealth, Virse allows its users to benefit economically from using, consuming, and even creating on the platform. Citizens of the virtual universe can also utilize the ViMarket exchange which allows them to exchange the native tokens of a growing list of independent crypto-powered virtual worlds thereby facilitating the ability to seamlessly travel between their favorite ecosystems. More details will be released throughout the token sale, the private pre-sale of which commenced October, and culminates in the public token sale, aptly named “The Big Bang”, early next year. Virtual reality retail shop Flight Deck VR has attracted over 700 gamers, Developers, and Crypto enthusiasts to its prestigious lounge launch event this January 10th, in Las Vegas, Nevada. The event is an opportunity for individuals to meet the Flight Deck VR crew and learn about their new uni-VIRSE. Attendees of the event are also invited to game for free all afternoon, enjoy a VIP free cocktail Mixer with music starting at 5 PM, and an opportunity to win Drake tickets. The event will take place at the amazing Hyper X ESPORTS Arena, a 30,000-square-foot, multilevel Esports stadium. The Arena is designed to host every form of competitive gaming, from daily play to high-stakes esports tournaments, and features a competition stage, 50-foot LED video wall, telescopic seating, PC and console gaming stations. CES Attendees that RSVP. In addition, everyone attending will be able to enjoy Virtual Reality platforms, Retro-gaming Consoles, and a comprehensive menu that sets the arena apart as an unrivaled Esports entertainment experience for both casual and professional gamers. Attendees can learn from the FlightDeckVR crew as they launch the Virse ecosystem and enable registered participants to have early access to in-game VIR tokens. Event attendees will all be supporting this groundbreaking vision by offering inhabitants next generation immersive hardware: ranging from entry level VR access to state of the art 3D mobile devices. ViMarket is the source of this content. Virtual currency is not legal tender, nor is it backed by the government, and accounts and value balances are not subject to consumer protections. Cryptocurrencies and tokens are extremely volatile. There is no guarantee of a stable value, or of any value at all. The post ViMarket.io Expands, Rebrands and Reinvents; Welcome to Virse TM, “Connecting the Virtual Universe”, and the ViR Token appeared first on Bitcoin PR Buzz.